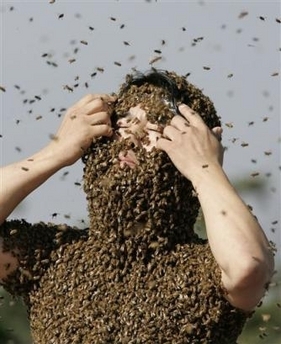 Boy, I sure showed those wasps who’s boss! The traps worked fine but not all the wasps took the bait. There are plenty of them left in the skip…waiting for me. By coincidence, yesterday, there was a feature on the radio about wasps and their purpose in life. Yes, wasps have a purpose. It turns out they actually keep other pests at bay, like ants, flies, and moths. I kinda felt guilty (slightly) when I heard that. It’s a pity they can’t tell a moth from a trucker. Is it just me or do you find blogging about daily stuff extra hard these days? I am finding it really really hard. The truth is I can’t get all the mayhem and killing out of my head. I have typed and deleted so many potential posts about Gaza, Ukraine, Ebola, various News channels with their spin. I wish all the soldiers of all the armies in the world would come to their senses and realise they are just pawns. Try a different job. Make the leaders duke it out between themselves. 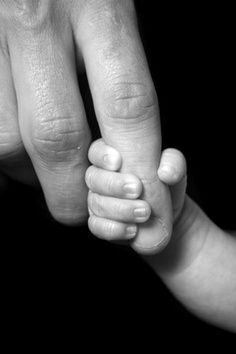 Look at our hands, they are designed to create, not destroy. 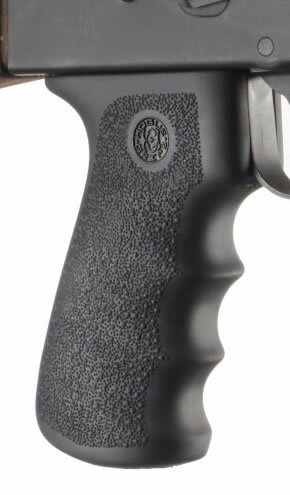 What sickens me is the way the gun designers have made gun handles contoured to fit perfectly into the human hand. Nice and snug. What kind of mind would design such a thing? God designed our index finger for something other than a trigger. It took me two hours to find the right words, without taking sides. Two hours of typing and deleting and typing again. That picture above says it all about guns and bombs and armies and war. God watch over their parents and give them strength. Sorry. Had to get that off my chest. This entry was tagged Gaza, hands, war. Bookmark the permalink. I tried to take iggy’s attitude but it’s just not me. I am not wired to look away. I don’t think it’s about looking away. I think it’s about doing what is in your power. If everyone did what is in their power the world would be better. I think Iggy’s point is that all of this is not only beyond his abilities but beyond his comprehension. I think that’s why he says, “I just don’t know.” Maybe it’s your job to write about it. Maybe. I don’t know. Some people can’t handle a second opinion. I mean what part of “Thou shalt not kill” don’t they get? It’s simple. Yet so many soldiers take their moral compass and marching orders from a f**ker in a suit who thinks he knows better. Maybe it’s better I stick to the wasps. 🙂 On here at least. Expressing all that publicly online leads to pain and doesn’t usually persuade anyone. The situation we’re in now is not new. It’s as old as humanity. I do not believe it is going to change ever. I think it’s something in human nature that (to me) makes no sense at all. But I’ve found that many people look at me and see a weirdo (and they tell me, too!) so I clearly don’t make sense to a lot of people. It’s necessary to pick your fights, I think. I wish I’d understood that a long time ago and I’d known my actual size a long time ago. It wouldn’t have changed the actions I have taken in my life, but I wouldn’t have felt so irrelevant and futile so much of the time. Since forever people have killed in the name of god, however they imagine that entity to be. I think, you know, write what makes you happy and takes you where you want to go as a writer. I’m 100% sure that in your daily life you are changing the world. That’s NOT nothing. But that’s just it. When you say people have been killing each other in the name of their god. Very few could actually read. So whatever version the leader or chief priest told them about their god then that’s what they believed. Now that they can read, Hollywood stepped in to muddy the waters again. The movies glorify war. The cinema is the church these days. The kids in school are made pledge this and that for whatever flag is flapping in their face. And everyone is told that this is right. Brainwashed since the dawn of time. I believe people are good by nature. It’s the guys at the very top who pollute the human mind. But there is always hope that people will cop on to their true selves. It’s a matter of taking one’s self away from the pollution for a while. Frankie, I don’t think it’s about being able to read or not being able to read. It’s probably the fact that the average intelligence of human beings is pretty low. Analysis of facts takes desire and ability and most people cannot do it whether they can read or not. Beliefs are easier. Marx was right that religion is the opiate of the people except that it isn’t an opiate. It’s what most people are capable of. I don’t think it’s a question of people being good or bad. It’s a matter of them being not all that intelligent combined with a lack of social values that inspire altruism. I don’t think those two things have happened in the history of mankind. Add to this the numerous natural disasters and cataclysms throughout history — the plague, the influenza epidemic, uncountable famines on and on and on — just to survive our species had to develop traits that are NOT peaceful or generous. Human life is better than it was for most of the people on this planet than it ever was; it’s more comfortable and safer for more people. But how do you take the war and the violence out of a species that’s relied on that instinct to make it this far? I don’t think it’s the guys at the very top — I think it’s us. We CHOOSE those people (for the most part) — choose them out of laziness, stupidity, a string of beliefs, whatever it is they didn’t get there all by themselves. I vote for lazy here, Martha. Most people want to rely on someone or something else to tell them what to do and why to do it. It is easier than accountability for themselves. Same reason in my humble opinion that people have chosen to make existence into two halves, good and evil. Forget the gray. Forget that these traits exist within each of us. Forget that we have the right to choose which way we turn for our leadership. I don’t see it as continued evolution but a regression back to before we began civilized behavior. What you are saying is true, but also there is a storm brewing and if nothing else, those leaders will use the ignorant to wreak havoc so that they keep control. The storm is the same weather pattern, I’m afraid. And ignorant is largely a matter of choice these days. Faced it in my summer lit class. “Learning about WW I was really depressing.” People are now going to school to learn to be stubbornly ignorant. “Every heard of Google?” asked one of my summer students when I said, “Where’s your book? How are you going to answer the questions?” That’s ignorance but it’s also arrogance. The combination of ignorance and arrogance = stupidity. “Those who cannot remember the past are condemned to repeat it.” George Santayana I also think we have a tendency to ignore biology. “Civilized behavior” is largely a matter of choice, education and indoctrination. It is not a biological reality. We are largely the same creatures biologically we’ve been for thousands of years. There is a guy called Green. I can’t remember his first name. I saw an interview where he claims he was offered a job as the Finance minister in the USA. This is back in the day. There was an election coming up. The two main candidates were Jimmy carter and …oh I can’t remember who the other guy was. Anyway I do remember him saying that he was invited into a meeting by certain men before the election and offered the job. “We control both of them!” came the answer. I will try to find the interview on the net. Sorry I can’t remember the details. Also do you remember the controversy around the election with the electronic voting before George w Bush’s second term. You only think you choose. But they limit your choices. I am sorry I don’t think that war is in our instinct from birth. It’s not in my instinct. Are humans born with an instinct to want to shake hands? No, but since childhood we are conditioned to greet each other like that. It’s the done thing. It’s passed down. But what is in our instinct is to hug. Hugging feels natural. Doesn’t it? That’s maybe a poor example. I admit I had a good childhood and possibly that has me the way I am. I agree that laziness is encouraged when it comes to thinking for ourselves. Marx was giving his opinion on religion. Maybe Marx didn’t experience a proper awakening. Maybe he thinks he did. Maybe he read too many other philosophers’ opinions instead of going for a walk and a think. I don’t think we will agree on human instinct 🙂 But this is fun. Frankie, of course we agree — I think the difference is in our ages. I would not want you to see the world as I do. It would be the saddest thing in the world. Did you watch the video? It’s evil in its manipulativeness, really evil. I’ve taught so many veterans who joined up because of videos like that. Some drank the Kool-aid, most didn’t. I taught a man older than you are last fall who’d done 12 years active duty. He is unfit for anything except being an assassin or secret service and he knows it. I loved him. I can’t explain it, but his brain was so rattled he couldn’t think in a coherent line for a long time and he couldn’t hold an idea together long enough to write an essay, and he knew he was damaged and he wrote about it. I liked to teach one-on-one working with a student on their work the method worked for him because he could see I liked him and just wanted him to succeed in what he needed to do to graduate. He was one of the most fierce and most gentle people I’ve known. He was, in some ways, like a dog who’s been kicked that you find at the pound that you’re nice to and after a while he just stays right beside you because he knows he won’t be hurt. No, this long, long war is just heart-breaking and when I have the ignorant/arrogant kids who refuse to learn in the same room with the ignorant former kids who joined up so they could get an education after they served their “sentence” I just wanted to scream. So, for me, after a while, it was no longer what’s right or what’s wrong. That was obvious. It became, “How do I treat these two very different but related sicknesses of the mind?” But now I’m retired and whatever more I do will come from a different direction — but that’s what I mean about people just needing to kind of shut up and get in there and do what good they can even though, because we’re so small and our lives so short, won’t be much. “To everyhing there is a purpose under heaven…” It just gets so ugly when human agendas get in the way of the natural course of existence. It’s just a handful of humans too. Like one bad apple can destroy a whole barrel. That Brzezinski quote in my “about” page is a perfect example of their mindset. I wish more could see it. Maybe it might make even one soldier look at his gun and realise it is designed to make murder feel nice. This, by Frankie, is, quite simply, stunning. He has expressed, simply and beautifully, much that needs to be said about the various conflicts which have turned parts of the world into a Wasteland and left the blight of the Wounded King clear for all to see. I do find it jarring when I write about my petty grievances or forward a recipe for sweets. Absolutely, Frankie. The juxtaposition of my writing against the news headlines is surreal, at the very least. It also feels shameful, misguided, wrong. It is all I can do. It is all that I have available to me. In the immediate moment, I’m talking about. I can rage about the carnage, the greed, the stupidity… but then I’m giving that stuff energy. Writing about wasps or granola bars gives energy to other things. I don’t consider it denial or disregard for the noise in the background. It’s more like giving breath to someone in need of CPR or life support. It’s putting little bursts of positive energy back into the system. Don’t fret about it. I have to vent my true feelings now and again. It’s like a poet without the rhyme. I would love a soldier to see the dignity in using his hands to do anything other than squeezing triggers. Hands that flip burgers, sweep a street, pull a pint, there is more dignity in those hands in my eyes. That’s just my opinion. What’s going on in this world is overwhelming much of the time now so it’s refreshing to hear about something like a bunch of wasps. I’ve gotten where I don’t even want to turn the T.V. on, I’d rather read blogs. It does upset me also, Sue. Blogs are better ! The world is so darn complicated and getting more so every day. I agree that’s it’s difficult to ignore. Although I try to take a breather away from the mega-chaos that surrounds me … it’s always there, bigger and uglier, when I return. Every voice is important, though, and your thoughts on this are organized and worthy. As well, your thoughts give us all reason to pause and perhaps, reconsider our own feelings. It’s completely okay to take a break from listening. Even though my writing and research requires listening to and reading about the chaos almost 24/7, sometimes I just have to stop and turn to something completely pointless and silly. First off: About your stance on war and violence…. Your editing was worth the effort! You thoughts were beautifully written and what an excellent message you conveyed! And the photos you selected were chilling! I love it! Now about your wasps: YIKES! I can’t see how a wasp even could sting an ant or moth, but I would definitely rather live with ants or moths than even one wasp! I don’t think you should feel guilty in the slightest and in fact, I think you should go ahead and set even more traps! Rachel, you don’t realise this but you have made my day. It was just a post that “genuinely” turned into a daydream halfway through. There were worse photos which I saw on FB and I still can’t get them out of my head. More wasp traps!? lol. I don’t want to push my luck. I have a few green living blog friends who are probably doing somersaults in the glass house with anger at the wasp traps. Aww, I’m so glad! 🙂 It was truly a moving piece. It is hard to write about the day-in day-out ordinary stuff of life while all this chaos plays out. You took a nice road here, one that is not likely to polarize (which is why I tend to avoid venting). Thank God you didn’t delete this post. You speak for most of humankind, Frankie. Thanks! I read somewhere that a nest of wasps makes a clicking sound…in the dead of night…not unlike that of a cricket. I don’t own a gun. I did when I was younger and lived in the country – a .22 rifle that I enjoyed plinking away at target shooting. Since then I have shot a machine gun, a submachine gun, thrown a couple of grenades and fired six or seven different pistols – all at local target ranges – but that was only because it was a part of my job as a militiaman. In the case of the pistols they belonged to a relative – an inlaw – and he wanted to take me out target shooting to “bond”. I still don’t own a gun. Just last week our son moved that the last of his belongings out of our basement where he had been storing them. He left behind a bucket of old toys that he asked us to give to his niece and nephew the next time we see them. There was a Nerf gun sitting on top and I found myself picking it up and playing with it a little. That – I think – is the problem in a nutshell. Too many people think of guns as something to play with. Sooner or later you get used to reaching for a gun and squeezing the trigger and then you reach for it at the wrong time and squeeze the trigger and shoot something – or somebody – that you REALLY did not want to shoot. You’re right. It’s easy to get comfy with stuff.